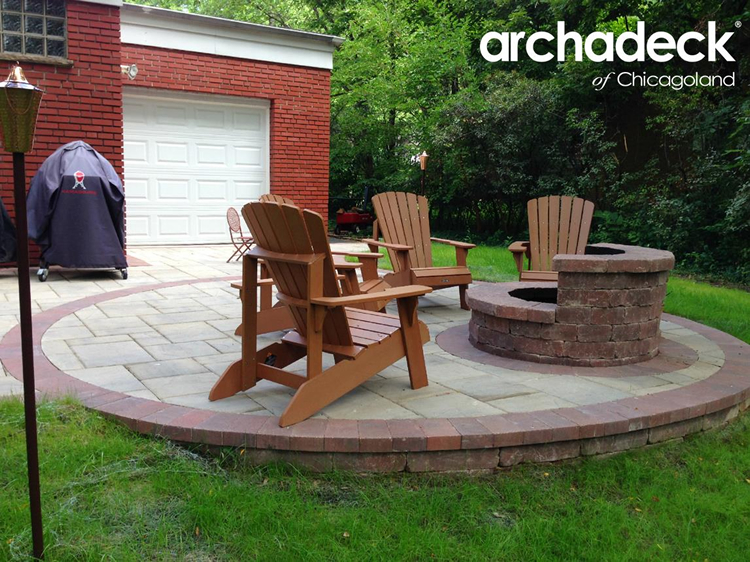 Explore the pros and cons of outdoor fireplaces and fire pits with Archadeck of Chicagoland. Adding a fire feature, such as an outdoor fireplace or built-in fire pit, to your Chicago area backyard creates an excellent space to entertain, roast marshmallows, and simply enjoy the great outdoors. 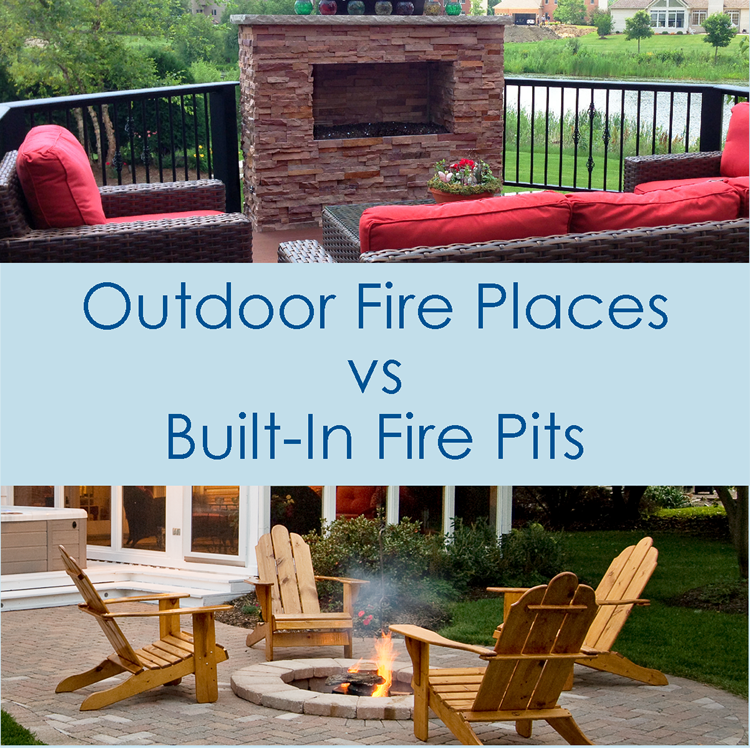 How do you know if an outdoor fire feature is right for you? We’ve broken down the pros and cons of outdoor fireplaces and fire pits to help you decide. Outdoor fireplaces are designed to withstand the outdoor elements, giving you the benefits of a warm and cozy fire while enjoying your backyard. 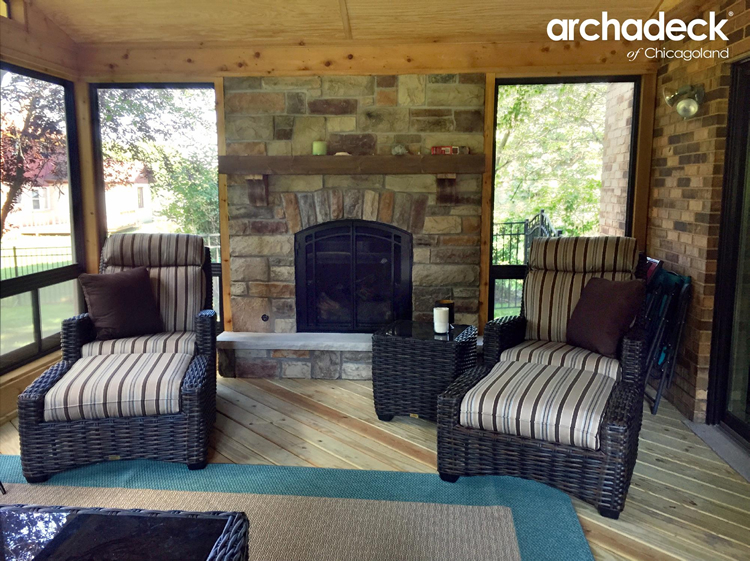 Versatile designs allow you to attach an outdoor fireplace to your deck, patio, or screen porch, or to stand alone. 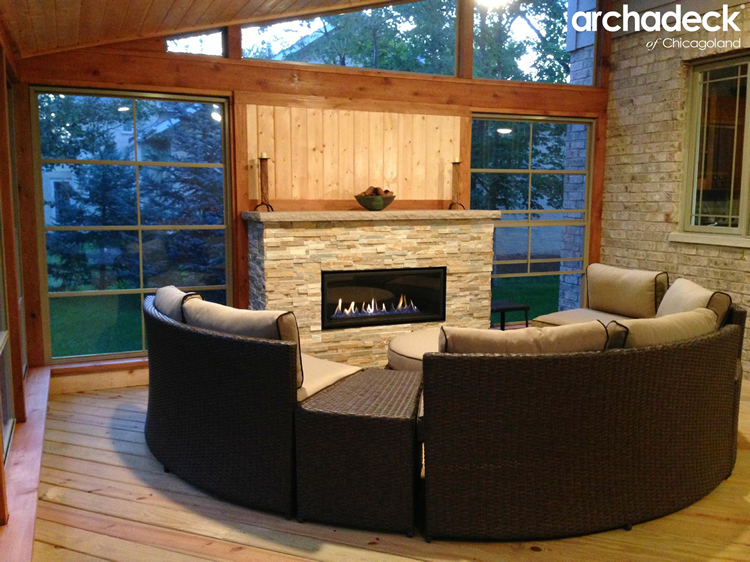 See more outdoor fireplaces and fire pits by Archadeck of Chicagoland! Provides a cozy environment and encourages intimate conversation, seating 4-6 people at a time. A Large structure will become a focal point in your outdoor living space. Keep this in mind if you have a view that you do not want to be obstructed. Outdoor fireplaces are easy to light in windy conditions, create privacy, and can also serve as a windbreak. A fireplace directs smoke up and away, preventing smoke and flying embers from bothering guests. Built-in fire pits are smaller and easily incorporated into your backyard space. Design options include gas lines, colorful fire glass, and ceramic logs. 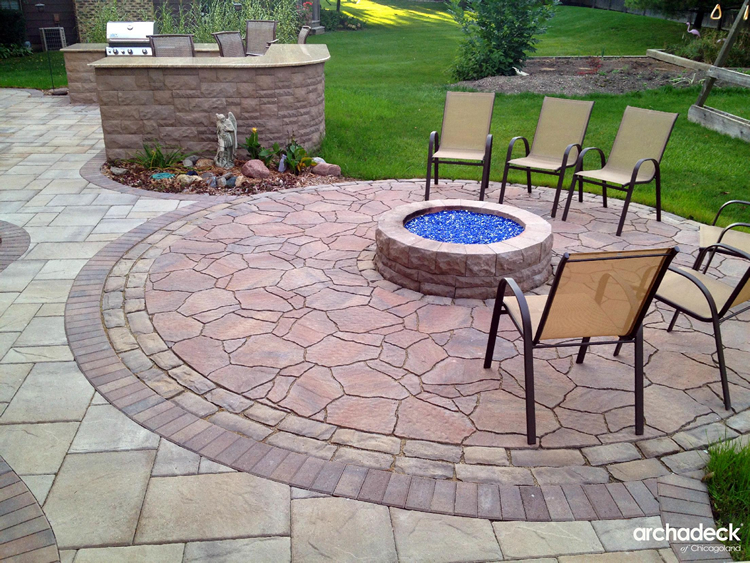 Traditional fire pits are circular; create a unique look with square or triangular fire pit designs, or by including patio walls. Without anything to block the wind, a wood burning fire pit may be harder to light or there may be flying embers and smoke. 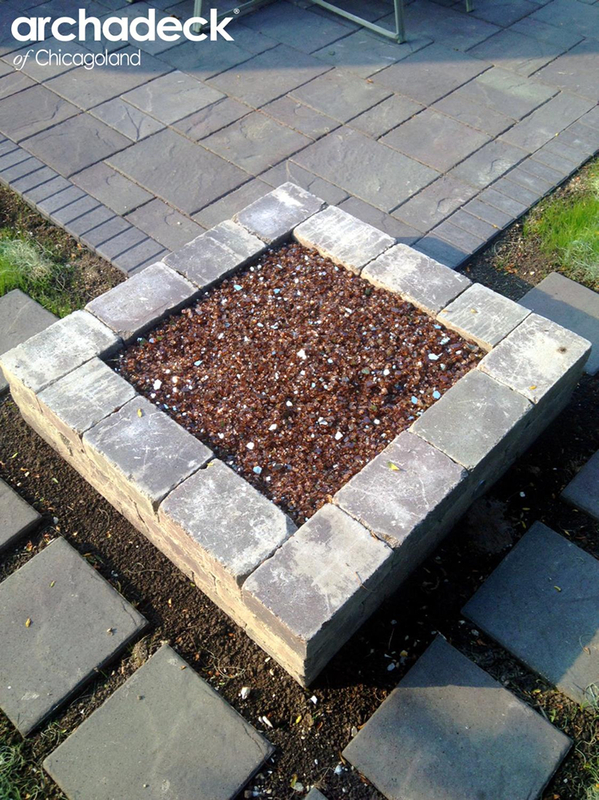 Preventative options include installing a gas fire pit and using fire glass or ceramic logs. 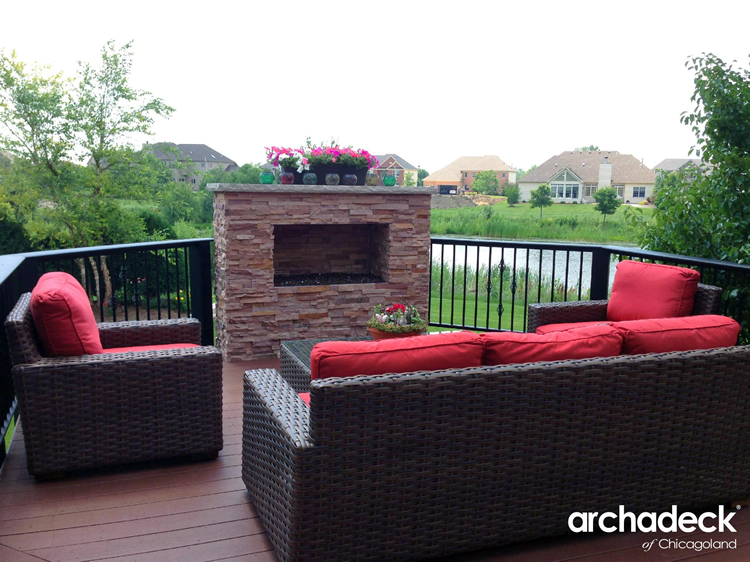 Archadeck of Chicagoland is the premier Chicagoland builder for decks, patios, screen porches, and much more. If you’re considering an outdoor living space, we would love to hear from you! 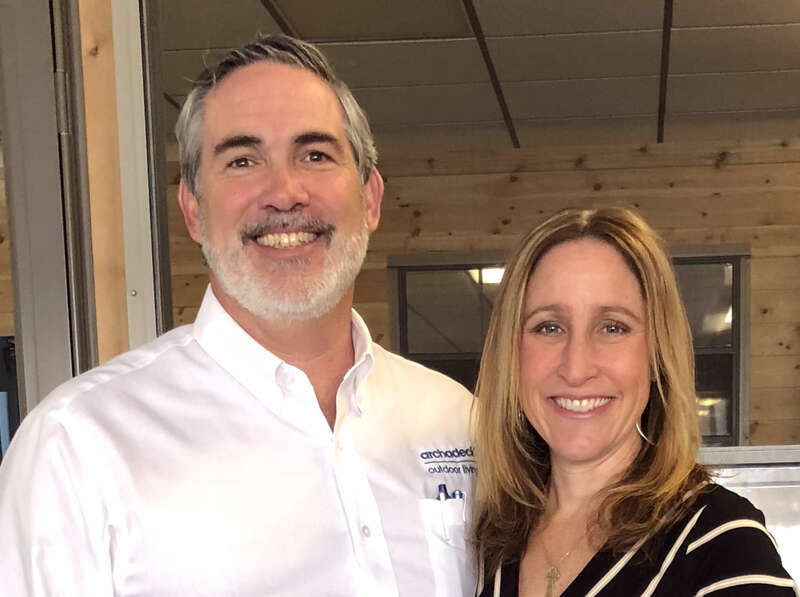 You may sign up for a free Archadeck Design Consultation or call our office at (847) 749-2373.